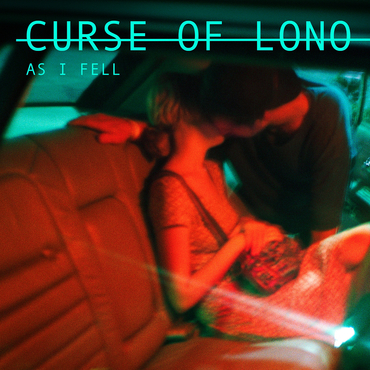 In 2018 Curse Of Lono took their blend of deeply cinematic, harmony-laden Americana and driving, gothic alt-rock around Europe with two UK headline tours and European supports for Steve Earle, Southside Johnny & The Asbury Jukes and David Ramirez. Joining frontman Felix Bechtolsheimer in Curse Of Lono, who formed in London in 2015, are Joe Hazell (lead guitar and vocals), Dani Ruiz Hernandez (keys and vocals), Charis Anderson (bass and vocals) and Neil Findlay (drums). The band released their second album ‘As I Fell’ in August 2018 to great critical acclaim, earning the band their first top 10 album in the UK Americana Charts. The acclaimed London five-piece were awarded the title of Bob Harris’s Emerging Act of the Year at the 2019 UK Americana Awards which took place at Hackney Empire in January. Produced by Oli Bayston (Boxed In) at Rancho V, a remote desert studio in Joshua Tree, California and Flesh & Bone Studios in Hackney, ‘As I Fell’ owes as much to old faithfuls like The Doors and The Velvet Underground as it does to more contemporary artists such as The War On Drugs and Wilco. The album combines Felix‘s dark lyrics with a rich instrumental sound, and drew on a mix of influences from both sides of the Atlantic. The album was accompanied by a short documentary ‘Somewhere In Their Heads’ by Gregg Houston (Van Morrison, Noel Gallagher, Two Door Cinema Club, Michael Kiwanuka), which has won Best Short Documentary at the LA Edge Film Awards, the Hollywood Sun Awards, the Changing Face International Film Festival in Sydney and the Oniros Film Festival in Rome.